The recent development of multi‐collector inductively coupled plasma mass spectrometry (MC‐ICP‐MS) notably in the disciplines of earth sciences, now allows the precise measurement of isotope ratios, even at low concentration. Non‐traditional isotope systems, such as alkaline earth (Ca, Mg) and transition (Cu, Fe, Zn) metals are now being measured in a variety of biological tissues, including bone and teeth. Although our understanding of the environmental and biological mechanisms behind the fractionation of such elements is still in its infancy, some of these isotopes are suspected to fractionate along the food chain, as has been reported in the literature for calcium, magnesium and zinc. Other geochemical methods, such as concentration analyses, permit a prior assessment of diagenesis in the fossils and such an approach indicates that in some circumstances, not only enamel but also dentine or bone can preserve its original biogenic composition. 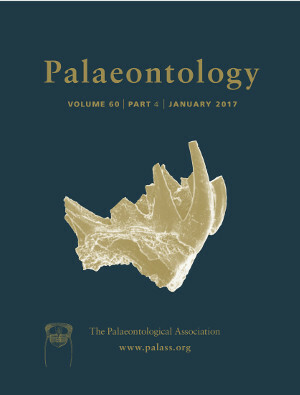 The aims here are to: review the current knowledge surrounding these various isotopic tools; address their potential preservation in biological apatite; and provide the palaeobiologist with a guide to the different toolkits available, including a discussion of their potential applications in vertebrate palaeobiology with a case study involving two mammal assemblages from the Pleistocene of Europe.